Below Zero is an educational program designed to promote understanding of wildlife under winter conditions. 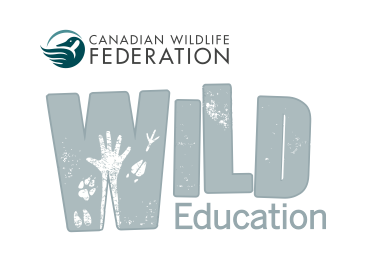 Developed by the Canadian Wildlife Federation and launched in 2003, it features 46 complete lesson plans that can each be adapted for any age, grade or subject. is based on the premise that young Canadians have a vital interest in discovering winter and Arctic ecology, the role of frozen environments in our natural and cultural heritage and how our remarkable climate defines our lives and ourselves. helps learners develop the awareness, knowledge and skills required to make informed decisions and to take constructive action for wildlife in frozen environments. is appropriate for use by classroom teachers and non-formal educators, including resource specialists, naturalists, conservation officers, camp counsellors, and Scout and Guide leaders. is based on a conceptual framework that encourages learner development from awareness to action, and is thematically organized into four sections: Awareness and Appreciation; Habitat and Ecological Principles; Adaptation; and Responsible Human Actions. Workshops for educators are typically 6 hours long and each participant received a Below Zero manual. Contact SaskOutdoors to set up a workshop or for more information.